Frank Sinatra, who was one of the most acclaimed crooners of music history, would have been 100 on December 12, 2015. The man wasn’t only a great singer, but also a talented actor. 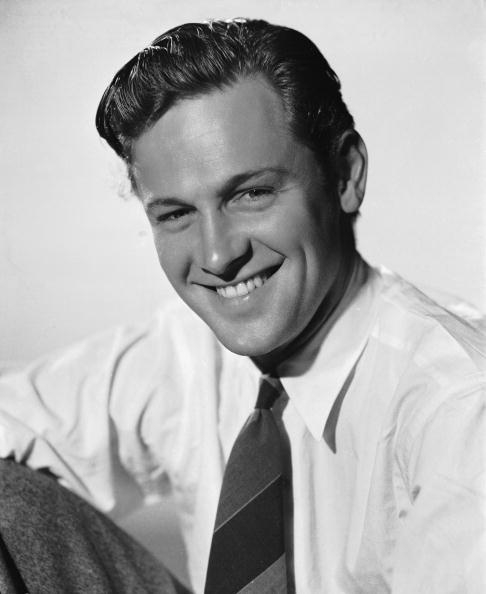 One of his most acclaimed performances was the one in From Here to Eternity for which he won an Oscar for Best Supporting Actor. Before watching this film for the first time, I thought I wouldn’t like it so much, but I ended up loving it. It’s now among my very favourite classics. 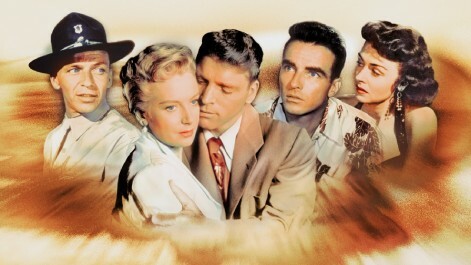 It has so many qualities and one of them are the performances given by the actors; Burt Lancaster, Montgomery Clift, Frank Sinatra, Donna Reed and Deborah Kerr. Without the shadow of a doubt, Frank deserved his award. I’m happy to write about his performance in this film for the Sinatra Centennial Blogathon hosted by Movie Classics and The Vintage Cameo. The event takes place from December 10 until December 13, 2015. 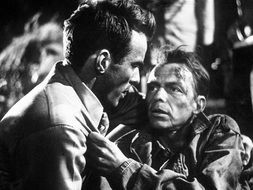 I could have been more original and talk about one of his lesser-known work, but, somehow, I had to write about From Here to Eternity. You see, it’s because of this film and this performance that he became a favourite of mine. 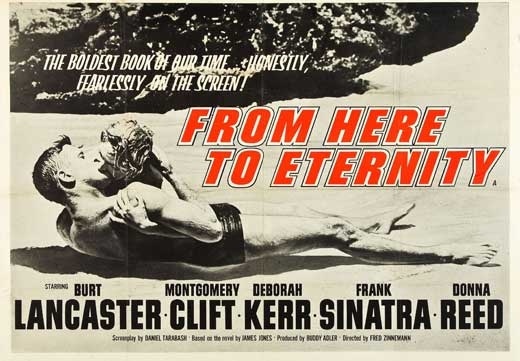 From Here to Eternity was based on the successful novel by James Jones. 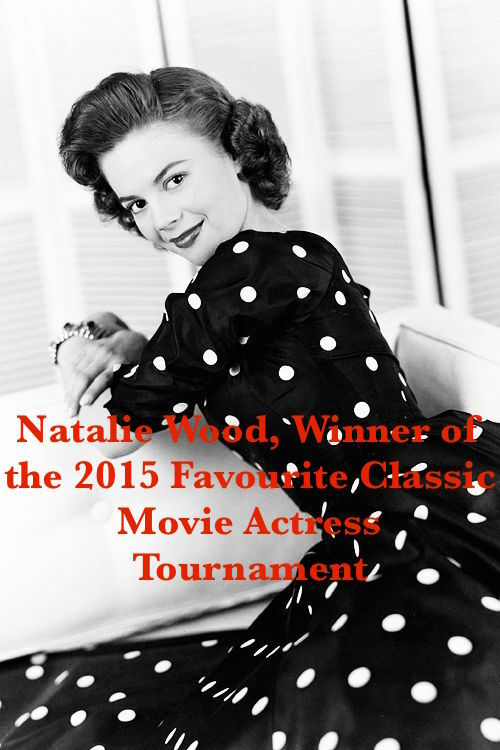 It was directed by Fred Zinnemann (High Noon, The Men, The Nun’s Story, A Man for all Seasons, Oklahoma!) and released in 1953. It was one of the most successful films of the decade at the box office. 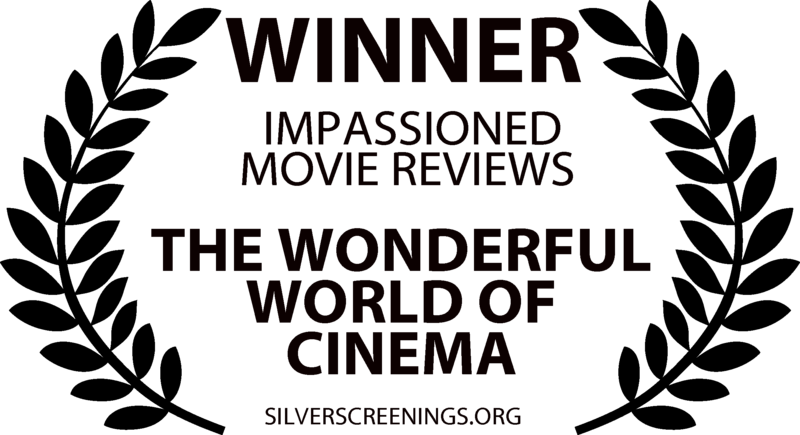 It also won no less than 8 Academy Awards: Best Picture (Buddy Adler), Best Director (Fred Zinnemann), Best Screenplay (Daniel Taradash), Best Supporting Actor (Frank Sinatra), Best Supporting Actress (Donna Reed), Best Cinematography-Black and White (Burnett Guffey), best film editing (William A. Lyon) and Best Sound Recording (John P. Livadary). 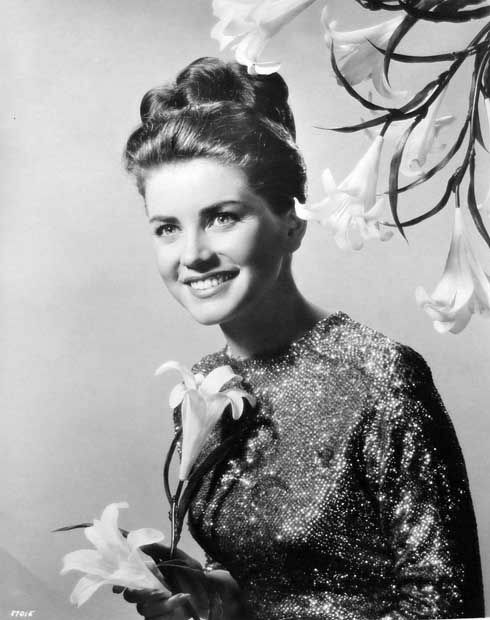 It was also nominated for Best Actor (twice: Montgomery Clift and Burt Lancaster), Best Actress (Deborah Kerr), Best Costume Design (black and white: Jean Louis) and Best Score (George Duning and Morris Stoloff). The story takes place at Schofield Barrack on Oahnu, a Hawaiian island. We are at the beginning of the war in 1941. Private Robert E. Lee Prewitt had just been transferred to this barrack. Captain Dana Holmes (Philip Ober) had heard that he is a boxing champion and wants him in his regimental team, but Prewitt refuses. He had decided to quit boxing having been responsible for a tragic accident. However, Holmes is not ready to give up, but Prewitt is a hard head. On his arrival, Prewitt finds his friend Private Angelo Maggio (Frank Sinatra) who will always be there to support him against Holmes’ pressure. 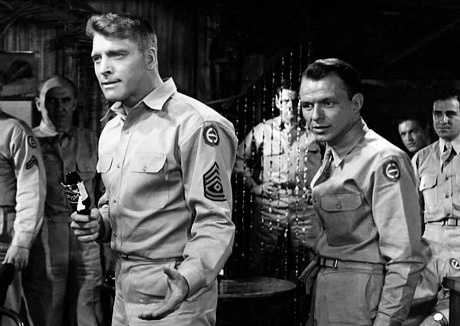 He then meets his superior First Sergeant Milton Warden (Burt Lancaster). Warden doesn’t seem to appreciate Prewitt at first, but he learns to and somehow seems to admire Prewitt’s stubbornness. 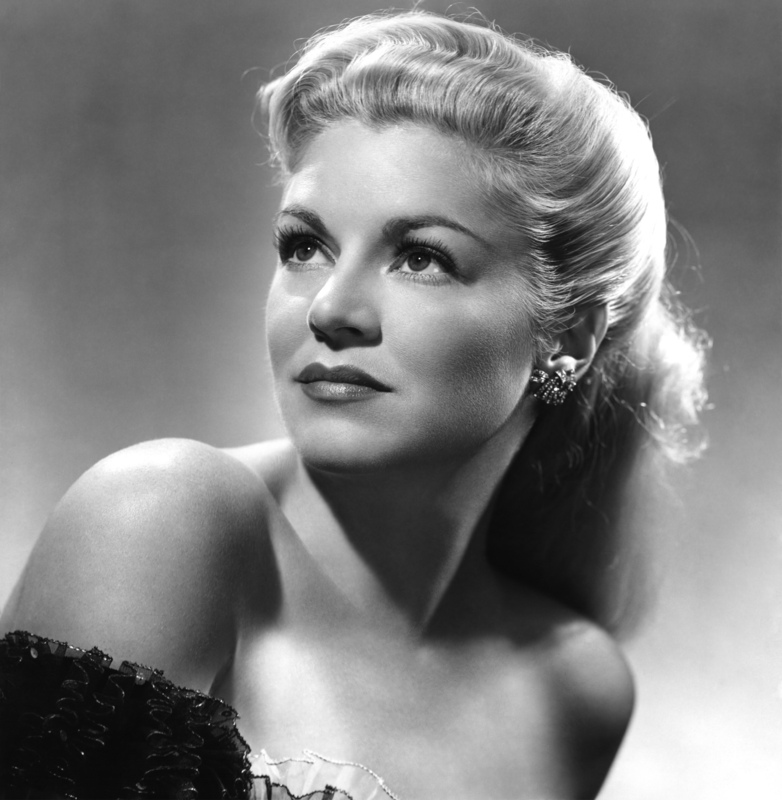 One night, Prewitt and Maggio are out in a club, Prew (as they call him) meets Alma “Lorene” Burke (Donna Reed) and falls in love with her. On his side, Warden his having an affair with Captain Holmes’s wife, Karen (Deborah Kerr). They are both in love with each other, but this isn’t an easy relationship. Frank Sinatra is introduced to us as the “nice guy”. We can’t really see if he’s giving a good performance after only a few lines, but we can guess he would be the “character we want to be friend with”. And that’s what exactly who Maggio is. He is a real pal to Prew, but also to us. We can easily say he is, in a way, the character we appreciate the most from the beginning until the end. But, unfortunately, Maggio is also the guy who gets easily into trouble. As a matter of fact, they all do, especially him and Prew. That might be why they get along so well. 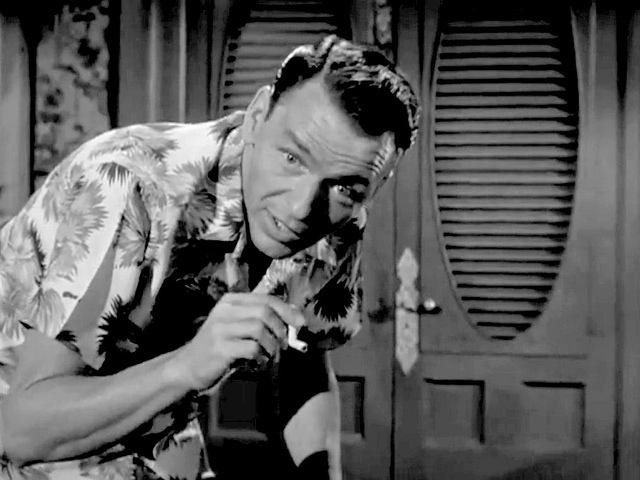 Before starring in this film, Franks Sinatra was mostly known for his roles in comedies or musicals. 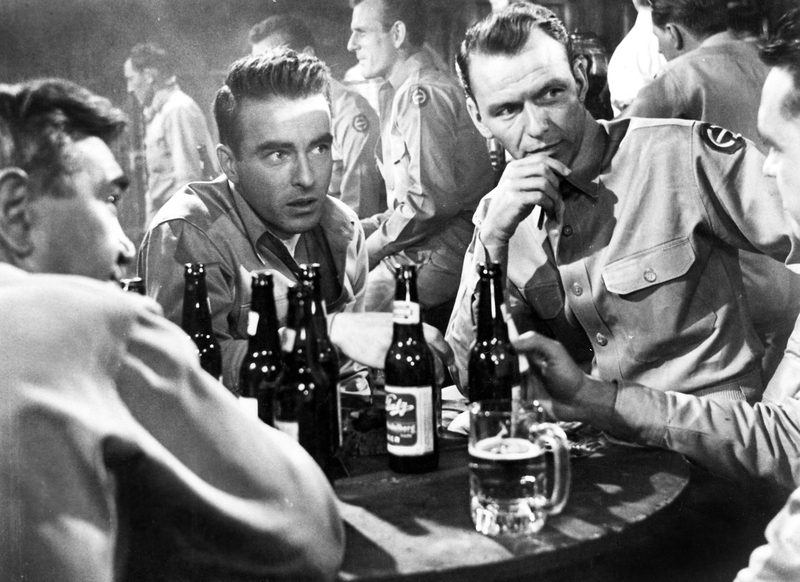 Thanks to Burt Lancaster and Montgomery Clift’s help, he improved his dramatic acting abilities during the shooting of From Here to Eternity. 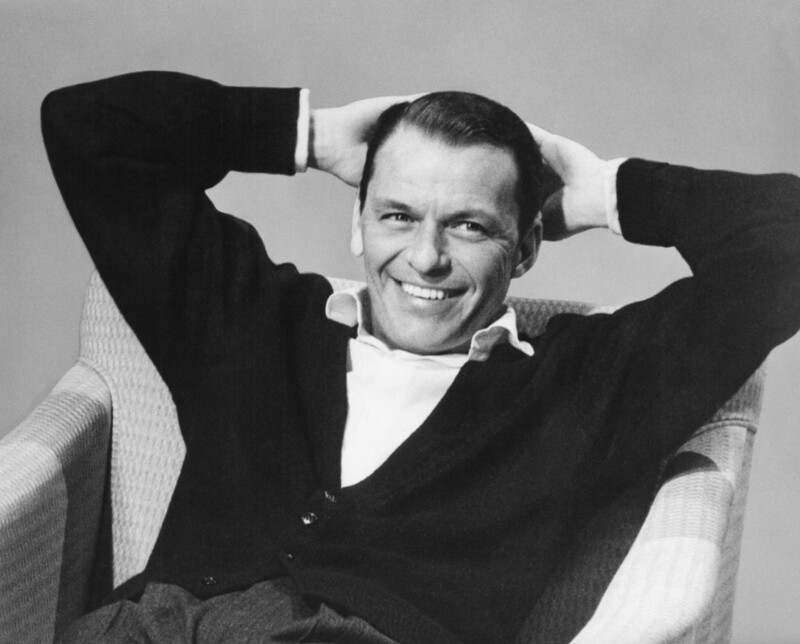 Franks Sinatra was very grateful to them and remained a long time friend with Burt Lancaster. The shooting was also a certain test for him, considering what he was going through in his personal life. 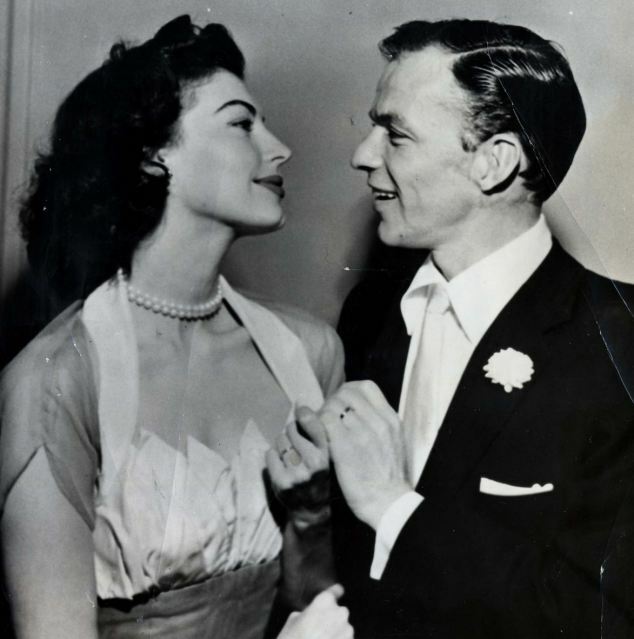 His marriage with Ava Gardner was indeed at its end. I always thought that it was quite a tour de force for an actor or an actress to give a brilliant acting performance when things aren’t going very well in his/her life. 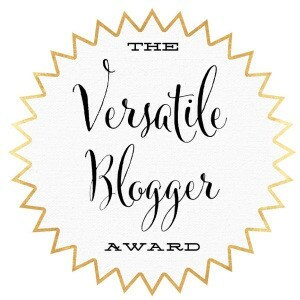 That makes me think of my article I wrote about Laurence Olivier’s performance in Spartacus for the Vivien Leigh and Laurence Olivier Blogathon. When he shot this film, his relation with Vivien Leigh was coming at his end, and it was not an easy moment for him and Vivien, considering Vivien’s mental illness. But, he worked hard and gave an unforgettable performance. But let’s get back to Frank Sinatra. In only one movie, from the beginning until the end, he manages to prove to us that he was indeed able to be a versatile actor, exploring both comedy and drama. We can easily say that he is the funniest one in the film and gives Maggio a great sense of humour and comedy. He knew how to express his comic lines in the right tone, with the right emotions and gestures to make us laugh. This is not a comedy, but a few laughs never hurt. Actually, Frank Sinatra’s performance makes this film alive. 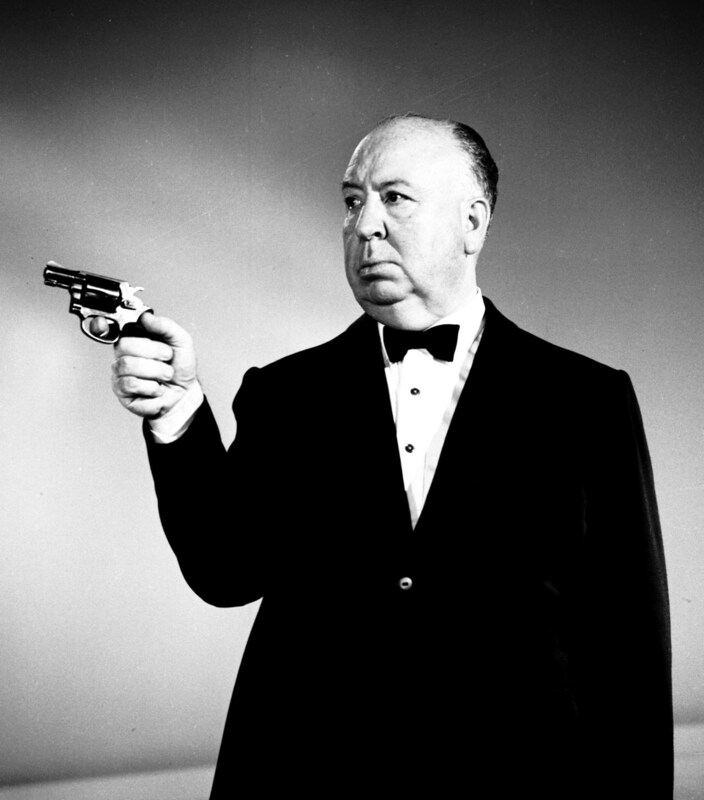 Not that it wouldn’t be a good film without him, but it would be different, something would be missing. As much as he knew how to play the nice guy, Frank Sinatra was also able to prove to us that he could get angry sometimes. This is more obvious in this scene in the bar where he gets involved in a violent argument with Staff Sergeant “Fatso” Judson (Ernest Borgnine). This is how he would start to get involved in trouble. Frank Sinatra is quite convincing in this scene. We believe in his anger. If you look at this clip where Frank Sinatra wins his Oscar, the crowd seems really enthusiast about it. Even Mercedes McCambridge, who was presenting the award, jumps of joy when she names him! He deserved it. Frank Sinatra doesn’t sing in From Here to Eternity. As a matter of fact, the musical side of this film is embodied by Montgomery Clift’s character who plays the trumpet. He doesn’t sing, but he acts. And his acting is as much good as his singing, and that means a lot. 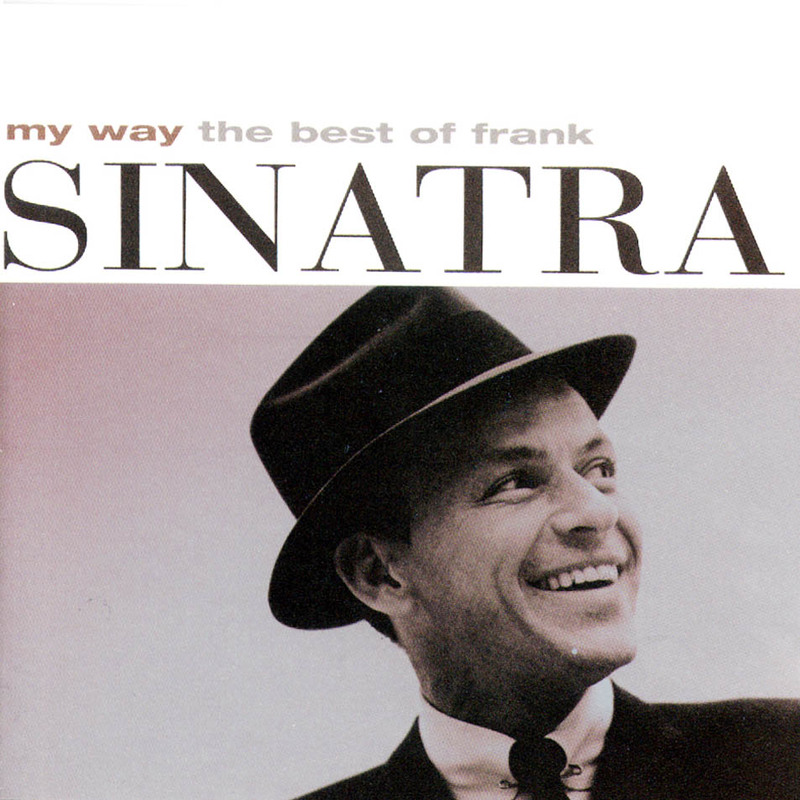 I remember, I was first introduced to Franks Sinatra as a singer when I was a child because my parents were (and still are) always listening to his album “My Way”. And then, I think I first saw him in Guys and Dolls. However, it’s really by watching From Here to Eternity that I started having a bigger interest in him, both as a singer and an actor. Now I’m always happy when my parents are listening to this “My Way” album! Frank Sinatra really was one of a kind. Happy 100th heavenly birthday Frank! 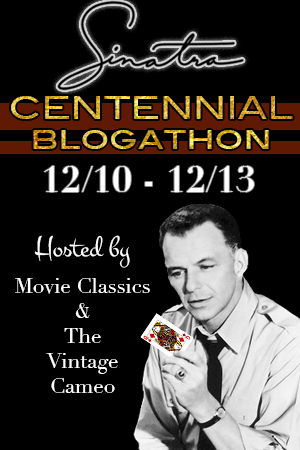 Thanks for your contribution and all your support of the blogathon – I can tell you really love this film and Sinatra’s performance in it is so funny and moving and compelling to watch, he really deserved his Oscar. I do remember that although he doesn’t exactly sing he kind of sings to himself in the shower at one point! greate review Virginie. yes, was his first dramatic performance and made other good dramatic roles after that such as The man with the Golden Arm, The Manchurian Candidate, some came running,etc. 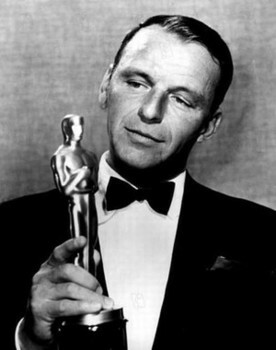 Sinatra’s Oscar win was no fluke. An amazing piece of work and a career changer. It truly is a film with much to appreciate on repeat viewings. I was amazed by this movie and blown away by sinatra’s final scene. He left me speechless, considering that until then I only knew him as a singer! A impressive performance, and worth the Oscar. 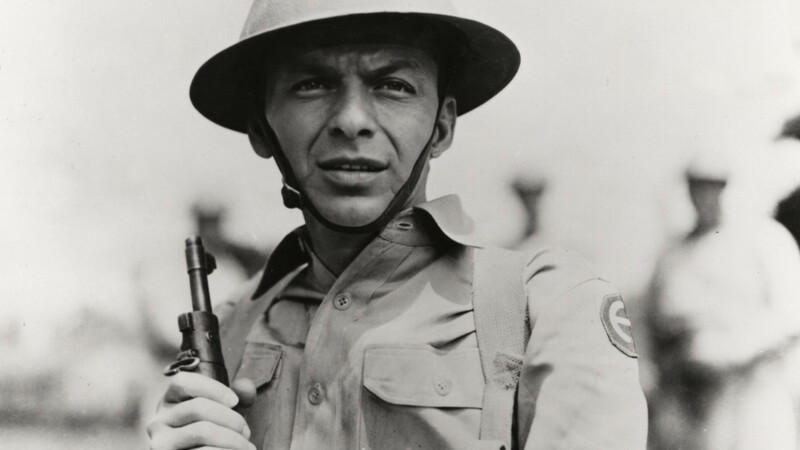 Great article highlighting Sinatra’s role in this wonderful film! 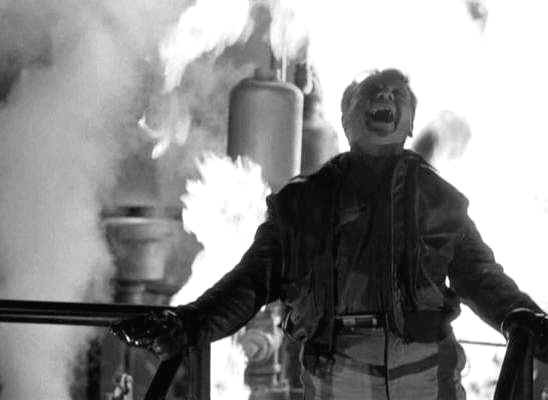 I mean, everybody talks about the kissing scene, but there is not more poignant than Sinatra’s death in the movie. Thanks Le! Of course I’ll read your article asap!